Four years ago, I used cash for almost every transaction. I did use a credit card occasionally, but never my mobile phone. Then, I arrived in the future: China. Considering that technological breakthroughs have already penetrated almost every aspect of life, marveling at how much can be done with my mobile phone already sounds trite. When I try to explain this to my friends back home in Spain, they always insist that the same things are starting to happen there. However, every major advance in technology I see in my country already happened in China a while ago. This is why I feel that so many things are one step ahead here. WeChat is an app similar to WhatsApp that incorporates multiple functions. It can be used not only to send messages and call, but also to share “Moments” and follow subscription accounts, shop for groceries, make flight reservations, order food and even pay utilities. I estimate that 90 percent of the time I spend on my mobile phone is while using this app. In fact, the first thing I ask when buying anything in China is: Can I use WeChat to pay? In 2015, I lived in Fuzhou, a coastal city in southern China. Once as I was walking on the outskirts of the city next to the mountain surrounding my university, I saw a really old man in pajamas selling juicy pineapples. He carried them in a heavy cargo tricycle and didn’t look like he had ever used a smartphone. 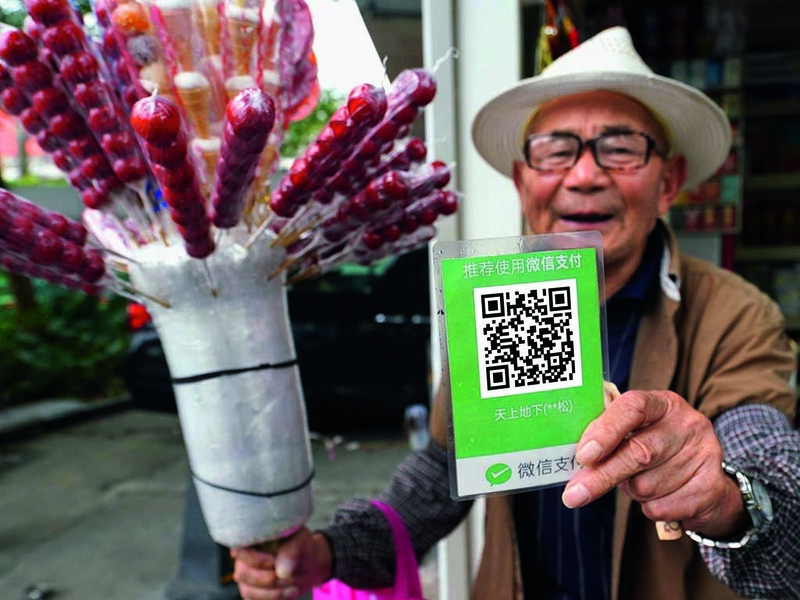 However, when I asked him if I could use my phone to pay, he smiled at me and said yes, showing me a QR code to scan with my WeChat app, just like everywhere else in China. I couldn’t believe it: An ancient man dressed as if he seldom left the house selling fruit out of a handmade tricycle accepts mobile payments. I wondered how he managed to learn such a new system at his age. He explained to me that his daughter received the payments at home. This man had no problem adapting to big changes. After a year and a couple of months in Fuzhou, I moved to Beijing. A totally different place in terms of size and weather—even the accent was totally different. But the most lasting first impression was none of these things. When I arrived in the capital of China, I found bicycles everywhere. Similar bikes of all colors parked in random areas. Orange and yellow stood out from the rest. The sharing economy has arrived in the city, and bikes can be rented via smartphone apps. People of all ages and nationalities seem to have permanently parked their old-fashioned bikes in favor of the brand-new ones. Again, scanning a QR code on the handlebar or behind the seat unlocks the bike, which will be ready to ride. There are no set parking lots, so you can leave the bike almost anywhere, at your convenience, sometimes at the main door of your house or classroom, which means walking is not necessary anymore! In fact, during my last year as a student at Peking University, I never took the metro to class. Riding a bike was faster, healthier and also environmentally friendly. Moreover, your bike couldn’t be stolen! What could go wrong? Well, ask somebody with a dead mobile phone! Surprisingly, last summer I discovered exactly the same Chinese bikes in different cities in Europe: Granada, Marbella and Oxford, among others. So, I guess bike sharing is not a unique thing anymore. But... what about car sharing, electrical bike sharing, powerbank sharing or umbrella sharing?! You can find any of these in China, and not only in big cities but the smaller ones too. I don’t know what will happen next in the sharing economy era, but I’m sure it will be happening in China first. I really enjoy drinking coffee while writing. As I was preparing this article, I yearned for it so much that I bought a cappuccino with my phone: It was delivered to my door in 30 minutes. 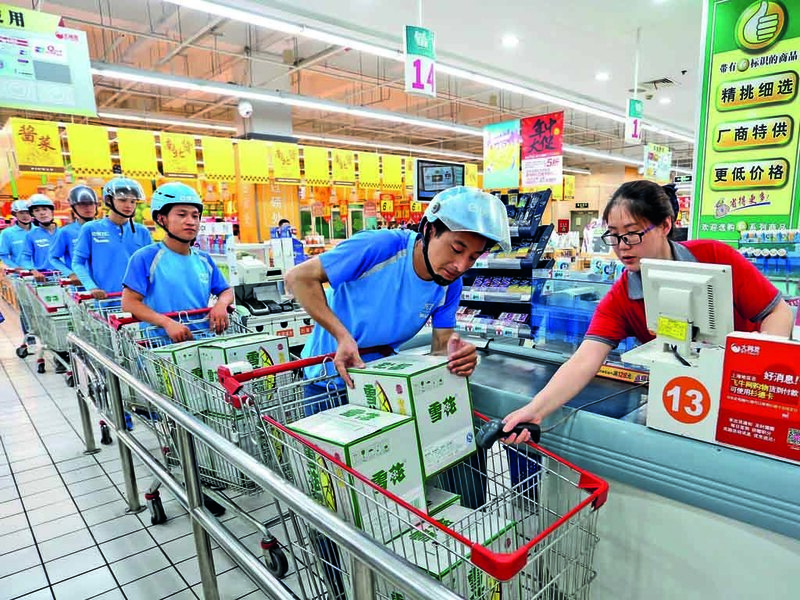 Then, I realized my fridge was almost empty, so I shopped for groceries using WeChat. They arrived in 40 minutes. I needed to return a book to a friend on the other side of town, and I found a guy through an app who came to my house to pick it up. My friend got the book in 50 minutes. If I need pills, I can have them within an hour. If I lose a valuable item, there is an app where you can specify place and time of the loss, and people will look for it and send it back if they find it. You don’t have to go to the post office to deliver parcels or letters because you can use an app to summon someone to come to pick it up in a short time. And still almost every day I discover something new on WeChat, a new app that makes life easier or a new innovation on the street. Every day I’m surprised by technological advancements in China and by people using them. There are facial recognition systems in offices. There is a Chinese version of Uber called Caocao which provides only electric cars. Even a social credit system is preparing to rate citizens based on their behaviors. Some may think I’m exaggerating, but anyone living in China will agree with me: Changes are faster here than anywhere else. And, in some aspects, going back to Europe means going back to the past. The author, who is from Spain, was a graduate of Peking University. 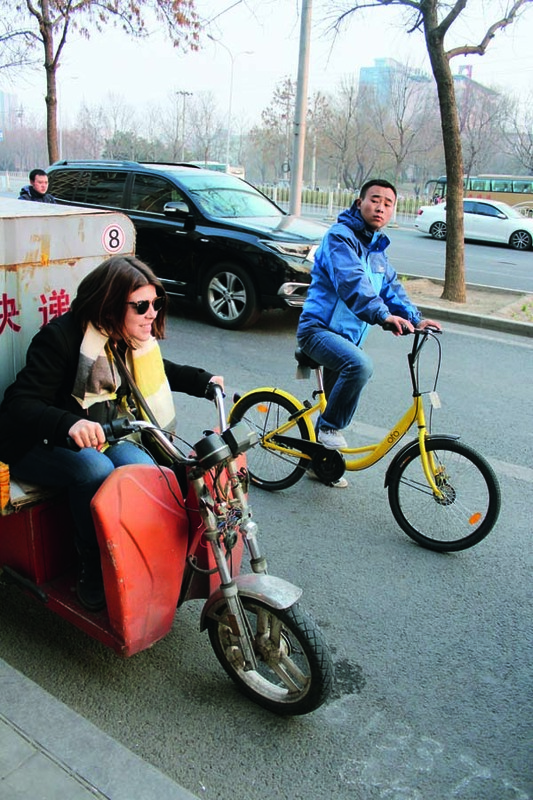 She currently works for a Spanish company in Ningbo, southeastern China’s Zhejiang Province.